Eyewear by the brand PAUL SMITH, for Men's eyeglasses, with reference M0011625, with a(n) Retro/Vintage style.These Kennington Paul Smith 4073J 5273 49 23 have a(n) Full Rim frame made of Metal with a(n) Round and Oval shape in Havana, Blue and Golden colours. Their size is 49mm and their bridge width is 23mm, with a total frame width of 72mm. These glasses are suitable for prescription lenses. These are top of the range glasses from the brand PAUL SMITH, made of high-quality materials, modern eyewear that will give you a look that matches your image. Buy Kennington Paul Smith 4073J 5273 49 23 eyewear in an easy and safe way at the best price in our online store. Eyewear by the brand PAUL SMITH, for Men's eyeglasses, with reference M0011351, with a(n) Modern and Retro/Vintage style.These Keston Paul Smith 8255U 1542 48 22 have a(n) Full Rim frame made of Acetate / plastic with a(n) Round and Oval shape in Brown and Blue colours. Their size is 48mm and their bridge width is 22mm, with a total frame width of 70mm. These glasses are suitable for prescription lenses. These are top of the range glasses from the brand PAUL SMITH, made of high-quality materials, modern eyewear that will give you a look that matches your image. Buy Keston Paul Smith 8255U 1542 48 22 eyewear in an easy and safe way at the best price in our online store. string(143) "Buy Keston Paul Smith 8255U 1542 48 22 eyeglasses. Modern and elegant model. Original product with fast shipping, quality guarantee and refund." string(34) "KESTON PAUL SMITH 8255U 1542 48 22"
string(119) "Paul Smith jumped from the clothes fashion sphere to the eyewear world, collecting a great success from the audience. 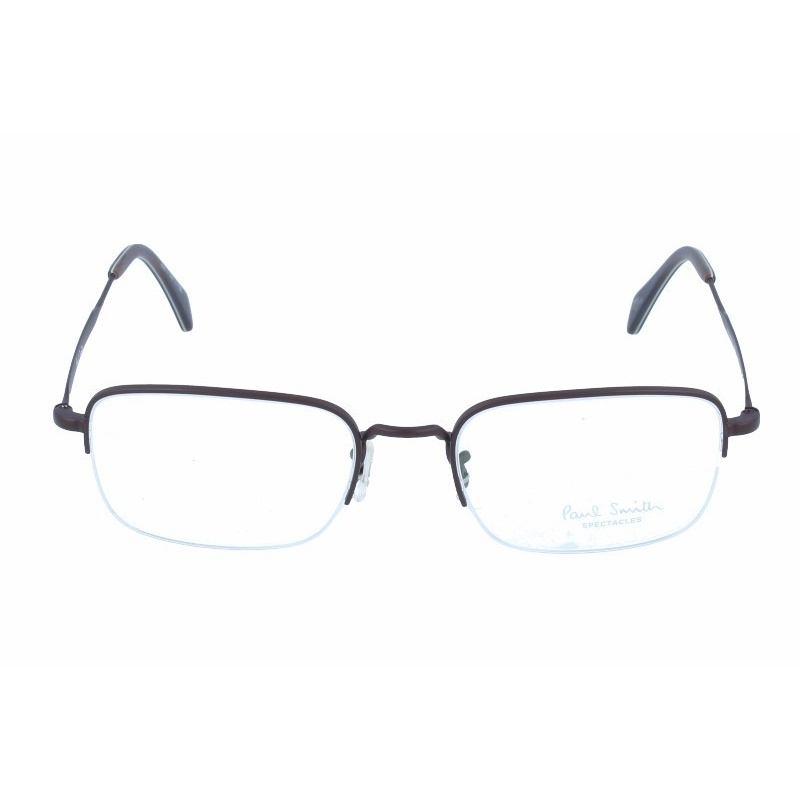 Eyewear by the brand PAUL SMITH, for Men's eyeglasses, with reference M0011347, with a(n) Formal and Modern style.These Hilson Paul Smith 4080 5250 52 19 have a(n) Semi Rimless frame made of Metal with a(n) Square shape in Brown colour. Their size is 52mm and their bridge width is 19mm, with a total frame width of 71mm. These glasses are suitable for prescription lenses. These are top of the range glasses from the brand PAUL SMITH, made of high-quality materials, modern eyewear that will give you a look that matches your image. Buy Hilson Paul Smith 4080 5250 52 19 eyewear in an easy and safe way at the best price in our online store. string(142) "Buy Hilson Paul Smith 4080 5250 52 19 eyeglasses. Modern and elegant model. Original product with fast shipping, quality guarantee and refund." string(33) "HILSON PAUL SMITH 4080 5250 52 19"
Eyewear by the brand PAUL SMITH, for Men's eyeglasses, with reference M0011346, with a(n) Formal and Modern style.These Hilson Paul Smith 4080 5062 52 19 have a(n) Semi Rimless frame made of Metal with a(n) Square shape in Black colour. Their size is 52mm and their bridge width is 19mm, with a total frame width of 71mm. These glasses are suitable for prescription lenses. These are top of the range glasses from the brand PAUL SMITH, made of high-quality materials, modern eyewear that will give you a look that matches your image. Buy Hilson Paul Smith 4080 5062 52 19 eyewear in an easy and safe way at the best price in our online store. string(142) "Buy Hilson Paul Smith 4080 5062 52 19 eyeglasses. Modern and elegant model. Original product with fast shipping, quality guarantee and refund." string(33) "HILSON PAUL SMITH 4080 5062 52 19"
Sunglasses by the brand PAUL SMITH for Men’s sunglasses,  with reference S0007429, with a(n) Modern, Elegant, Original and Female style.Roark Paul Smith 4079 50636R 56 16 they have a(n) Full Rim frame made of Acetate / plastic with a(n) Square shape in Black and Silver colours. Their size is 56mm and their bridge width is 16mm, with a total frame width of 72mm. They have Organic, GreenLime green, MirrorUniform lenses. These glasses are suitable for prescription lenses. These are top of the range glasses from the brand PAUL SMITH, made of high-quality materials, modern glasses that will give you a look that matches your image. Buy Roark Paul Smith 4079 50636R 56 16 sunglasses in an easy and safe way at the best price in our online store. string(143) "Buy Roark Paul Smith 4079 50636R 56 16 sunglasses. Modern and elegant model. Original product with fast shipping, quality guarantee and refund." string(34) "ROARK PAUL SMITH 4079 50636R 56 16"
Sunglasses by the brand PAUL SMITH for Women’s sunglasses,  with reference S0007362, with a(n) Modern, Female and Retro/Vintage style.Lovell Paul Smith 8259U 15476R 52 19 they have a(n) Full Rim frame made of Acetate / plastic with a(n) Cat Eye shape in Green colour. Their size is 52mm and their bridge width is 19mm, with a total frame width of 71mm. They have Organic, Green, MirrorUniform lenses. These glasses are suitable for prescription lenses. These are top of the range glasses from the brand PAUL SMITH, made of high-quality materials, modern glasses that will give you a look that matches your image. 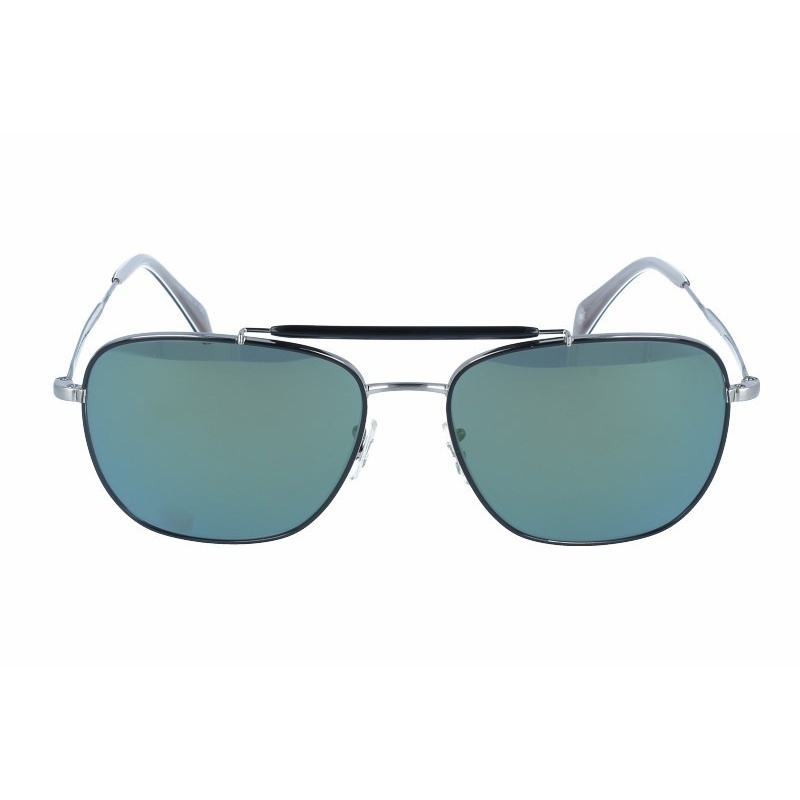 Buy Lovell Paul Smith 8259U 15476R 52 19 sunglasses in an easy and safe way at the best price in our online store. string(145) "Buy Lovell Paul Smith 8259U 15476R 52 19 sunglasses. Modern and elegant model. Original product with fast shipping, quality guarantee and refund." string(36) "LOVELL PAUL SMITH 8259U 15476R 52 19"
string(140) "Buy Lex Paul Smith 8256U 1544 47 20 eyeglasses. Modern and elegant model. Original product with fast shipping, quality guarantee and refund." string(31) "LEX PAUL SMITH 8256U 1544 47 20"
Eyewear by the brand PAUL SMITH, for Men's eyeglasses, with reference M0010846, with a(n) Modern and Retro/Vintage style.These Gaffney Paul Smith 8251U 1533 47 20 have a(n) Full Rim frame made of Acetate / plastic with a(n) Square shape in Purple colour. Their size is 47mm and their bridge width is 20mm, with a total frame width of 67mm. These glasses are suitable for prescription lenses. These are top of the range glasses from the brand PAUL SMITH, made of high-quality materials, modern eyewear that will give you a look that matches your image. Buy Gaffney Paul Smith 8251U 1533 47 20 eyewear in an easy and safe way at the best price in our online store. 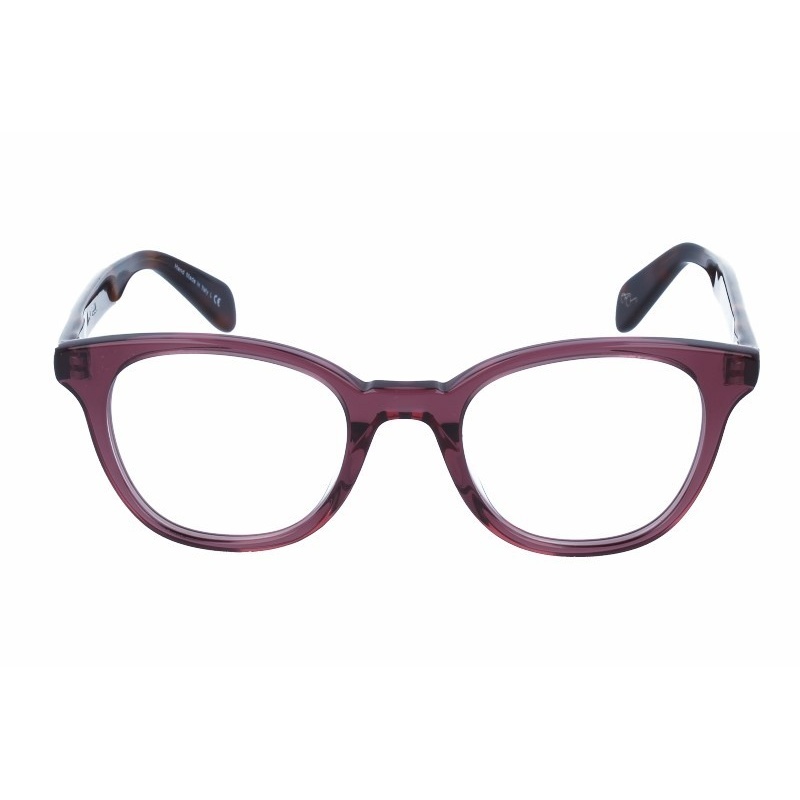 string(144) "Buy Gaffney Paul Smith 8251U 1533 47 20 eyeglasses. Modern and elegant model. Original product with fast shipping, quality guarantee and refund." string(35) "GAFFNEY PAUL SMITH 8251U 1533 47 20"
Eyewear by the brand PAUL SMITH, for Prescription glasses for Women, with reference M0007694, with a(n) Modern, Female and Retro/Vintage style.These Neave Paul Smith 8208 1393 49 18 have a(n) Full Rim frame made of Acetate / plastic with a(n) Retro-Wayfarer shape in Green and Light brown colours. Their size is 49mm and their bridge width is 18mm, with a total frame width of 67mm. These glasses are suitable for prescription lenses. These are top of the range glasses from the brand PAUL SMITH, made of high-quality materials, modern eyewear that will give you a look that matches your image. Buy Neave Paul Smith 8208 1393 49 18 eyewear in an easy and safe way at the best price in our online store. string(141) "Buy Neave Paul Smith 8208 1393 49 18 eyeglasses. Modern and elegant model. Original product with fast shipping, quality guarantee and refund." string(212) "glasses acetate,graduate,signature,paul smith 2015,2014 paul smith,paul smith 2013,economic glasses,quality eyewear,eyewear brand,unisex,fashion glasses,current,discounted glasses,elegant,youthful glasses,modern." string(32) "NEAVE PAUL SMITH 8208 1393 49 18"